Rodney Hoskins is a powerful tenor-baritone who cites Nat King Cole, Aretha Franklin and Luther Vandross as his inspirations and major influences. He says he loves Nat's impeccable vocal timing and enunciation, Aretha's passion and Luther's sweeping range. Rodney's unique voice caught Quincy Jones's ear, who recently included him in a theatrical production. This young man was given the coveted privilege of singing the National Anthem for the Los Angeles Dodgers on Opening Day of the 2007 Season, the same day on which most of America celebrated the 60th anniversary of Jackie Robinson breaking the color barrier in major league baseball. Rodney, a native of Detroit, has made his home in lovely Santa Monica, CA for several years now. Yet, Rodney was so impressed with the songs written for him by SIDney Howard for the Mune-Pi Parables album, that he flew back to Motown to be a member of the Mune-Pi cast of vocalists. Everyone involved in the project is happy he did. We're through the looking glass, people. moral compasses that always point... wherever. independent from the tyranny of structure. way they were once free to safely run up and down the bridge. ever being promiscuous; I have always been a romantic. The red badge of "Christian"
gave me courageous license to live morally-free of having to explain myself. "Man, I hooked us up with some--"
"Oh...yeah, man. That's cool. ...uh..."
gainsaying that are most often founded on illogical platitudes and prejudices. prefer to always leave open options when "categorically stating" anything. speaker. "I heard him say it myself." It's interesting that they're called news programs. those who are raised in traditions of faith that were set forth by family or community. devotion (or devotion to perceptions). over the years and can no longer be considered God's word. longer self-owning but bought with the price of His saving sacrifice. We are in a war. This is a fight to the death for souls. The law of the jungle is survival of the fittest. It is the nature of things natural. required to start the consuming fires. ...hell on earth. under the protective cover of "culture diversity". Isn't it romantic, romancing the stoned? burden of any warning element. ...to frolic in the pink mists of the minefield. steal, fornicate, are homosexual whoremongers who're all on the special interest dole. categories 1 & 2] who aren't in anyway at all Christ-like. offender. And His disciples are moreover offensive for following in His way. context will tell many lies - a very dangerous proposition if seeing is believing. shows as their windows on the world. always prepared to defend His position without disallowing countering opinions. prohibit and/or corral free expression that conflicts with their own beliefs or disbeliefs. sake alone waste the time of the idiom as well as its' consumers. scale the ladder called Christ. 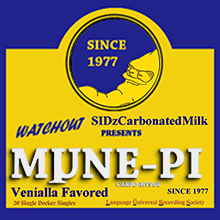 Please enjoy your Mµne-Pi with a refreshing swig of SIDzCarbonatedMilk. You can also download The Mµne-Pi Parables at your favorite online music store*. *Prices on online music sites may vary. SIDzCarbonatedMilk began as a studio concept in the summer of 1979. Upon purchasing his first "real" synth...a Arp Odyssey still in use (the first first ax was a Korg 770S a.k.a MiniKorg... the first-fist-first axe was a Univox electronic piano processed through a Mu-Tron III filter and a Mu-Tron Phasor II). The Arp was chosen for its duophic playability, from which the first SCM song was composed "Duophonix-".Though there have been many contributors to SCM recordings years along the way over the near thirty (yipes!) years of SCM's existence, it has remained mostly the compositions and performances of SIDney Howard that has created "their" sound. SIDney Howard was raised one hundred or so miles out of Memphis, Tennessee in the Mississippi Delta, his native musical influences would be Blues and Memphis Soul. But SIDney Howard's awakening into music as a musician was more widely varied and cosmopolitan. He grew up in Mississippi on the campus Mississippi Valley State University--a pioneering Black college that his parents helped pioneer. In his former life, SIDz father (Dr. CW Howard) a former associate VP of MVSU was a big band Jazz reed man. SIDz mother (Dr. Zelma Howard) was the World Literature professor. As such the appreciation of both music and were developed from the beginning. In college, SID played keys for the Chi-lites and opened a show for Rufus featuring Chaka Chan on their summer of 1980 Masterjam tour. 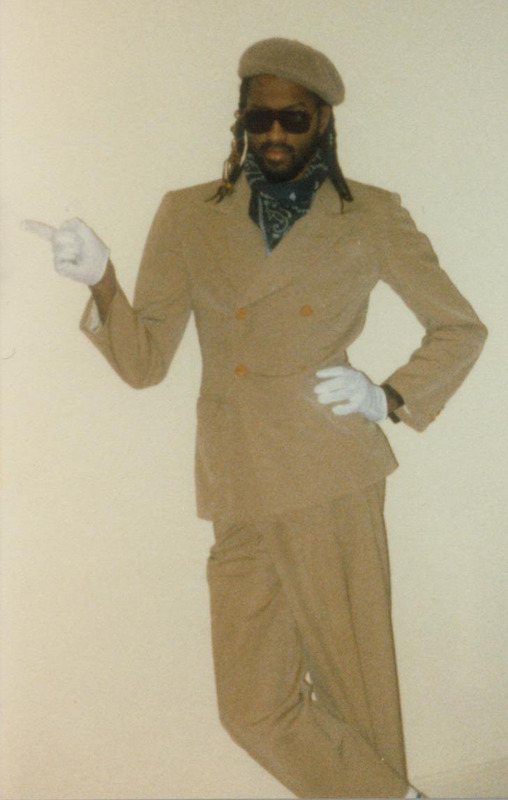 1980, SIDney Howard graduated from MVSU's Jazz and Commercial Music program and moved to Detroit to join Thang, Inc. Records George Clinton's short-lived CBS imprint label. The old Motown base put him in contact as a composer/producer/keyboardist with not only the P-Funkmaster himself, but with Stevie Wonder's golden ages coloaborator Sylvia Moy (My Cherie Amour, Sign Sealed, Delivered, etc. ), Barrett Strong, Stax's and United Sound Systems' Don Davis, The Dells, Johnny Bristol--whom SID had the priviledge of co-producing before his sudden passing in 2004. SIDney Howard started his writing career with his graphic novel The Amazing Adventures of Power Puppy illustrated by the author himself...graphic art having been his earliest gift manifested. SIDney Howard was raised one hundred or so miles out of Memphis, Tennessee in the Mississippi Delta, his native musical influences would be Blues and Memphis Soul. But SIDney Howard's awakening into music as a musician was more widely varied and cosmopolitan. He grew up in Mississippi on the campus Mississippi Valley State University--a predominantly Black college that his parents helped pioneer. In his former life, SIDz father (Dr. CW Howard) a former associate VP of MVSU was a big band Jazz reed man. SIDz mother (Dr. Zelma Howard) was the World Literature professor. As such the appreciation of both music and literature were developed from the beginning. In college, SID played keys for the Chi-lites and opened for Rufus featuring Chaka Chan. 1980, SIDney Howard graduated from MVSU's Jazz and Commercial Music program and moved to Detroit to join Thang, Inc. Records, George Clinton's short-lived CBS imprint label. The old Motown base put him in contact as a composer/producer/keyboardist with not only the P-Funkmaster himself, but with Stevie Wonder's golden ages coloaborator Sylvia Moy (My Cherie Amour, Sign Sealed, Delivered, etc. ), Barrett Strong, Stax's and United Sound Systems' Don Davis, The Dells, Johnny Bristol (whom SID had the priviledge of co-producing before his sudden passing in 2004). It was at Sylvia Moy's studio where SIDney (signed as a writer/producer for Moy's Musiki Publishing, BMI) met Jubal leader Rufus Harris. Rufus invited SIDney to record on their upcoming "Onward" album. When after his then current group L.I.G.H.T.S. 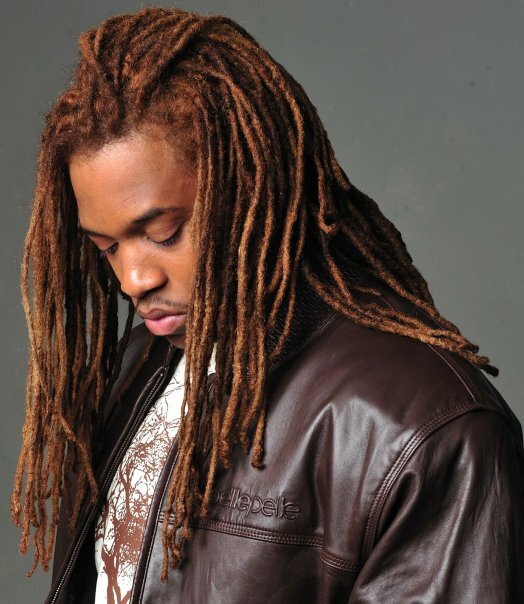 disbanded, he joined Jubal as keyboardist for an 8-year stint and a second album "Sometimes It Matters". Then 10 years later he rejoined with Rufus in The Rufus Harris Band for another 8 years and 2 1/2 albums. 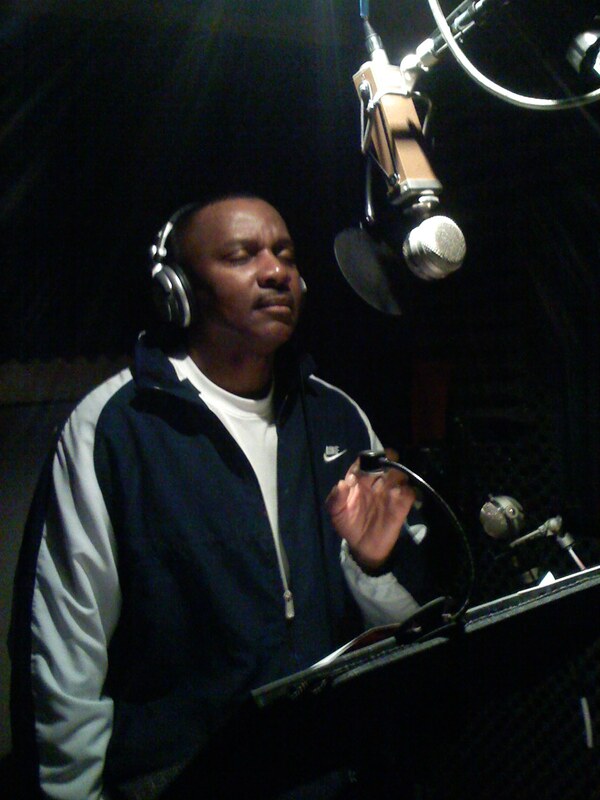 Over his 30 years in the music industry, SIDney has composed, written, and produced over 1,000 musical works. Closest to his heart are the projects involving vocal phenom Rodney Hoskins and SIDney's studio concept ensemble SIDzCarbonatedMilk. "The Mμne-Pi Parables" is the current SCM release of three including "Please Don't Harm Monica" (1993) and "The Men In Martian Ice" (2000). SIDney Howard started his writing career with his graphic novel The Amazing Adventures of Power Puppy illustrated by the author himself... graphic art having been his earliest gift manifested. That was followed by two volumes of short stories [Cranial Crumbs & Residue and Brainflush Protocol], and a current novel just ready for release. CCR and BP are currently being produced by the author for a Language Universal Recording Society (L.U.R.S.) audio book series that features the exceptionally talented Tiren Jhames, Reuben Yabuku, Theresa Maybee (Bollinger). The former (Cranial Crumbs...) was the inspiration for SIDzCarbonateMilk's first album: "Please Don't Harmonica". "Mark Drummond and Grooveometri" is the nom d'artiste by which Markovic Drummond produces original groove and chill jazz music. 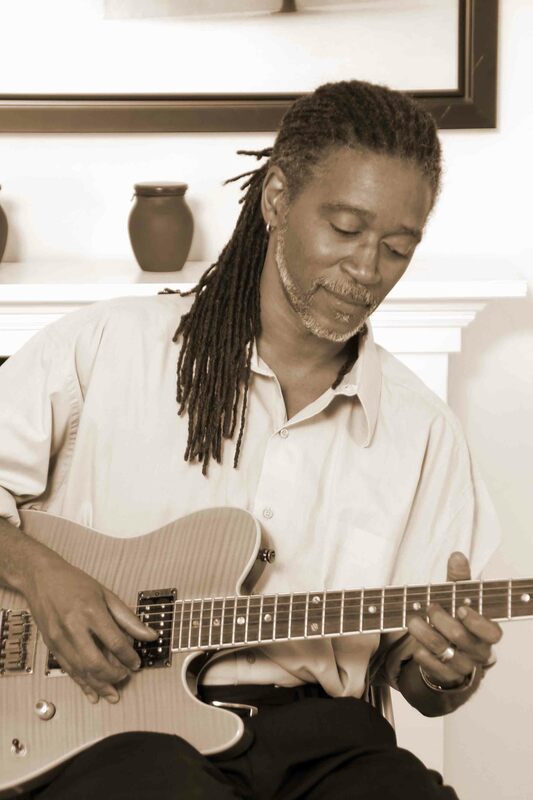 A guitarist and producer with a funky, soulful approach to smooth jazz and R&B, Mark honed his style performing in show bands throughout the Midwestern and Southern US. 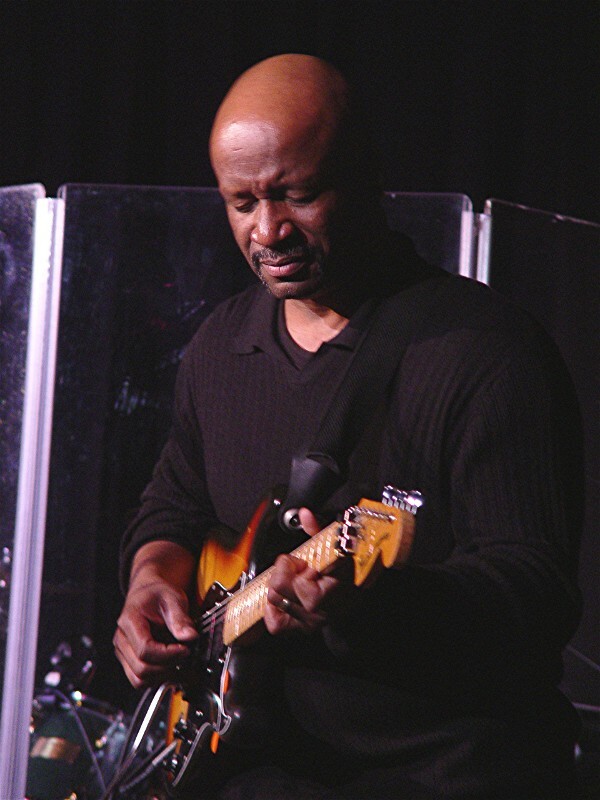 Since settling in Southern California in the 80s, Mark has been a sideman with several R&B, gospel and smooth jazz groups and produced and remixed several releases for international musicians. He also co-composed and produced the soundtrack to the feature short "Bringing Up BayBay" for Soleil Films. 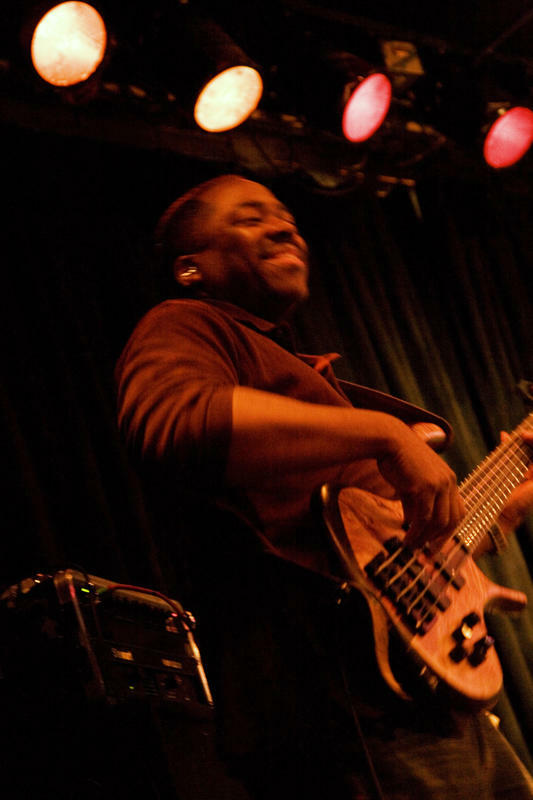 Mark's original releases are R&B-inflected smooth jazz with plenty of old-school funk accoutrements: 2007's "Six Strings, One Love"; "2 Smooth 4 Words", a 2008 collaboration with keyboardist Daniel A. Nelson; "Chilloutronica" (2009), an experimental/ambient R&B excursion; and a smooth jazz and noveau-holiday CD "Yuletronica" (2009), all of which are available worldwide on iTunes. 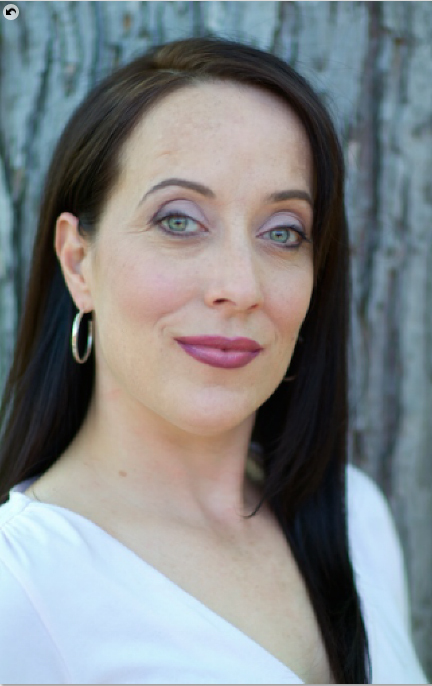 Theresa has been a performer, director and producer for over fifteen years. Performance credits include: performing as a cast member on Main Stage at The Second City (Detroit, MI) and Assistant Directing there under Saturday Night Live Director Tom Gianas, cast member of “Strong Women Keep Coming”, Host of TV pilot “Peacemakers”, Improvisational Comedian for Toyota Motors and a Spokesperson/Product Specialist/Trainer for automotive companies including General Motors, Daimler Chrysler, Honda and Toyota. Theresa has also had featured film roles in “Mutant Swingers from Mars”, “Temptation” and “A Polish Wedding”. She has served as Executive Director for Spare Me Productions and Executive Producer for Peacemakers, Inc. Theresa has also served as Director/General Manager of The Magic Bag in Ferndale, The Millennium Centre Convention and Performing Arts Complex in Southfield, The Majestic Theatre in Detroit and The Federal Reserve Conference Center in Detroit. Mrs. Maybee Bolinger has served as a Director, Assistant Director, Producer, Costumer, Make Up Artist and Set Dresser for many productions such as, “A Family Affair”, “If These Hips Could Talk”, “Ain’t Nothin’ Like Family” and, most recently, “Whatever She Wants” starring Vivica A. Fox in 2007. Theresa has spent over twelve years in Christian Arts Ministry including Director and Producer for Kensington Community Church from 1997 – 2000, Drama Team at Northridge Community Church from 2003 – 2005 and Director of Drama for “The Glory of Christmas” 2004- attracting over 20,000 audience members. She currently is Director of the Drama Department at The Link School of the Arts in Troy since 2002. Rodney Hoskins' music experiences span wide in time as his existence. As so many important artist before him, Rodney's roots are in the Black Gospel music of the Church. He is an admired member of the world renown R&B and Gospel music community of (MOTOWN) Detroit, Michigan. Having returned to the United States after an European tour with renowned Black music figure-Bill Moss, it can be said truly that Rodney's extraordinary vocal gift has literally taken him around the world. 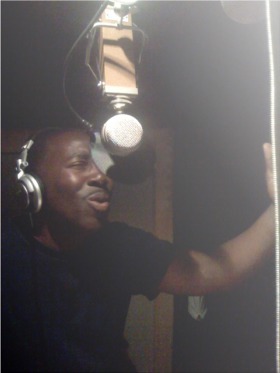 What Rodney offers in his vocal performances is a pleasurable blend of power and soothing warmth. There is in it all the texture and craft associated with more traditional Gospel and R&B music, but more there is the prudent reserve and exacting application that yields a work that serves as a beneficially and a properly prescribed comforting balm. Now, finally, he has found this time of his calling. God wills, the world shall have the pleasure of experiencing what so many have treasured in his music,the sound of real love and a voice of truth. Just out and available, Rodney has released his first project on CD, the long awaited "Tell Them", that features strong oft times soaring melodies supported with solid and insightful orchestrations. Erin Barger is currently attending Michigan State University (class of 2013) studying elementary education with a major in integrated science and a minor in math. Singing has been her passion since she could speak, and many years of vocal training recitals, choirs, plays, and musicals have allowed her to enjoy her place in the sun on stage. Past shows include The President's New Clothes, Miracle on 34th Street, Bye Bye Birdie, A Funny Thing Happened on the Way to the Forum, High School Musical, and Oliver. Although not participating in theatre while at MSU, she continues to use her vocal gift in choirs, worship bands at Campus Crusade for Christ's weekly meetings, and, singing along to her favorite tunes in her dorm room. Erin loves acting because it allows her to let her dramatic side loose (even though she is told she's dramatic all the time), and loves singing because it's such a beautiful, freeing, and unique form of expression - there are so many tunes, tones, dynamics, and lyrics that can be used to write thousands of songs and not one of them will be the same as another. I started playing guitar at the age of twelve after hearing Eddie Van Halen on Michael Jackson's "Beat-it" single. I had always loved contemporary pop music of the 80's. This meeting of rock and pop was intoxicating and made me take a look at rock music as well. I was hooked on the guitar and started a high school band that I would play in for five years. I then went off to college and studied music theory, piano and ear training for two years. After that I was asked to joined a Christian band and cut a CD with that group. This led to a few promotional concerts and some great contacts. Through this contact and an audition I was awarded a six year spot playing guitar at Kensington Community Church. I was content playing guitar for Kensington when an opportunity presented itself in the form of an all 90's tribute band. This band titled "The X-Generation" is put together through Tangerine Moon Productions. TMP and it's owner Carey Denha have been instrumental in pushing me through to my next Carrer level. This has led to studio work with Sid Howard as well as fellow TMP artist Nick Kuhl. I'm currently working on my own CD of instrumental guitar music and learning how to produce, arrange and mix as well. I hope to continue working with gifted artists and just being a side man to there talents for years to come. Take the vocal and melodic sound of Seal; add a little funk; guitar work like Toto; bundled with a spiritual focus; and you have - rufus harris. With three projects under his belt and two more in the making – this Recording Artist has taken Christian music to a whole new level. Each cleverly crafted album illustrates Rufus’ creativity and varied musical influences. His upbringing in Alaska exposed him to all types of musical artists ranging from Sly and the Family Stone to the Beatles. When not performing at coffeehouses and churches, Rufus often spends his time sharing his music at nursing homes and prisons. He is a national platform artist for Chuck Colson’s Prison Fellowship and performs for inmates across the country. But Rufus is not just focused on his own music career. In an effort to help other independent Christian artists, he co-founded The CAMP – Christian Artists and Musicians Project – a non-profit organization that assists and showcases diverse independent artists. The organization’s must visible event - 4thFridays with rufus harris has become one of Metro Detroit’s premier venues for Christian entertainment. Rufus continues to touch many with his unforgettable melodies and thought-provoking lyrics. He has become a mentor to artists and prisoners and an inspiration to Christian music lovers everywhere. He currently lives in the Detroit area with his lovely wife Denise; has two beautiful daughters; is "Grandpappy" to two delightful granddaughters. He is pastor of The Bridge Church in Pontiac, Michigan. 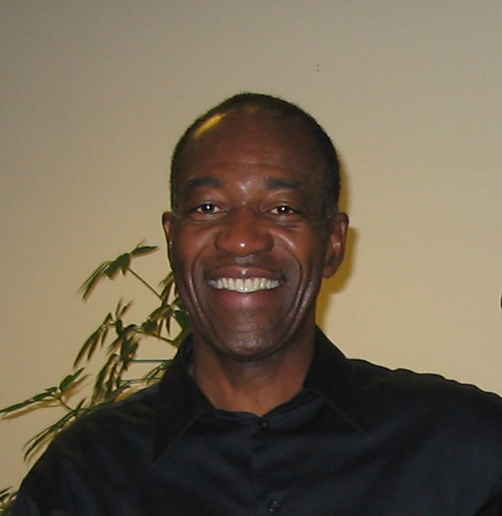 Jack Marchbanks was born near Muscle Shoals, Alabama and raised in Dayton during the boom of the southwestern Ohio funk explosion of the 1970s, he was known as the "smart one" or "the egghead" by his high school classmates who formed Lakeside and by his University of Dayton Kappa frat brother, Clarence "Chet" Willis, guitarist for the Ohio Players. After gaining access to the Los Angeles music scene through his friends in Lakeside and Whispers' tunesmith Dana Myers, Marchbanks briefly worked as a songwriter for Solar Records in the early 1980s. By the early 1990s, he found his calling as a historian and "keeper of the flame" for African American popular culture and music. 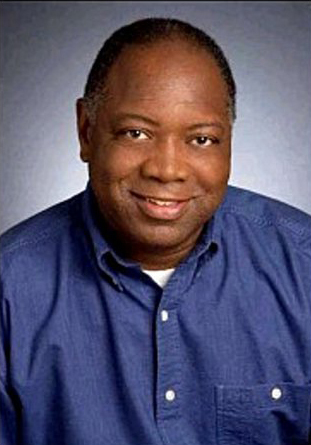 He founded the African American Musical Heritage Group, an Ohio-based non-profit organization dedicated to educating the world and celebrating the under recognized influence of black creativity on popular culture. Marchbanks has produced several blues and jazz concerts. He has staged successful shows featuring Rock and Roll Hall of Fame legends, B.B. King and Buddy Guy, as well as other concerts headlining the late Albert King and Koko Taylor. He has written, produced and acted in "Jazzy Broadway," an original musical revue chronicling African American's contributions to the evolution of the Broadway musical. 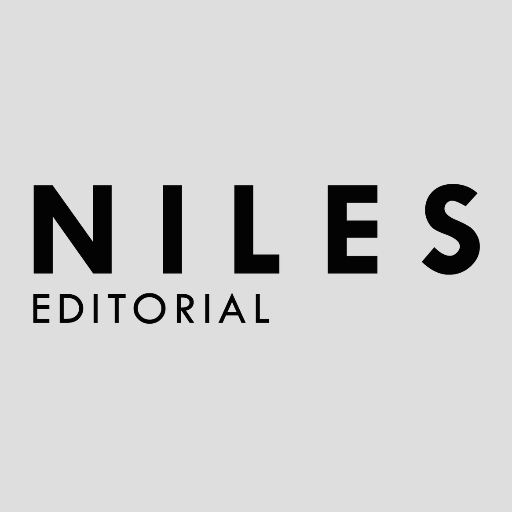 He has ten years of experience and accomplishments in writing and producing works for National Public Radio, particularly its Ohio affiliate stations. Among his notable works are award winning scripts for "Kids Sundae," a weekly live theatre children's radio hour that aired on WCBE 90.5-FM (Columbus) from 1994-1996. He has also penned and had broadcast nationally his original commentaries on Morning Edition with Bob Edwards (2000) and on the Tavis Smiley Show (2002). Marchbanks has been such a consistent champion of Ohio's African American musical greats that he was given a special honor by the O'Jays management team. They invited him to New York City and granted him an exclusive interview with the Canton, Ohio - born group prior to their 2005 induction into the Rock and Roll Hall of Fame. Vito did his first professional gig in 1974 and has continued ever since. He has been featured in guitar player magazine 3 times, has done over 100 commercials, plus industrial films. Vito has studied with flamenco guitarist Juan Serrano, Laurence Juber, Preston Reed, Ed Gerhart, Matt Smith, Dave Martone, Jody Fisher, and others. He has also done workshops with Phil Keaggy, Pat Metheny, Muriel Anderson, Leo Kottke, and others. Vito also produces a lot of local artists (metro Detroit area). 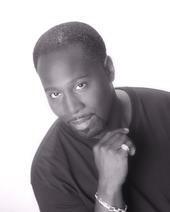 He has also been the music director at “Mountaintop Christian Church” since 1999 and still currently teaches. He recently worked “Christmas in Detroit 3” and helped arrange and play on a couple of songs with Mitch Albom. Vito is also a multi-instrumentalist and plays guitar, mandolin, banjo, sitar, piano, bass, harmonica, pedal steel plus more. John Holkeboer is a bass player and composer living in Ferndale, Michigan. He is a graduate of the music composition program at the University of Michigan where he performed with the University Symphony Orchestra and the Jazz Composers Orchestra. In Ann Arbor he played with many diverse groups including Billy, Etch-a-Sketch and The Bucket. 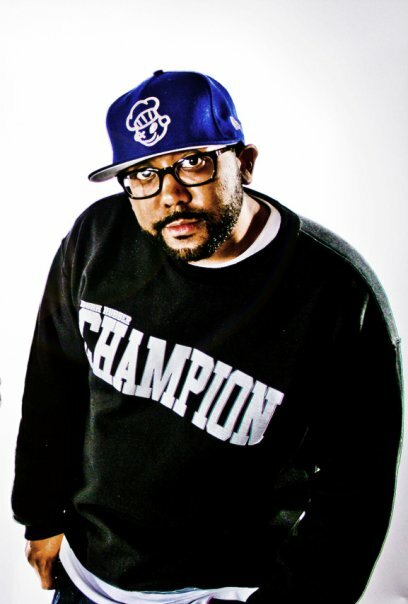 He worked as a professional musician and recording engineer in Boston, MA for several years before returning to the Detroit area to work in audio post-production. 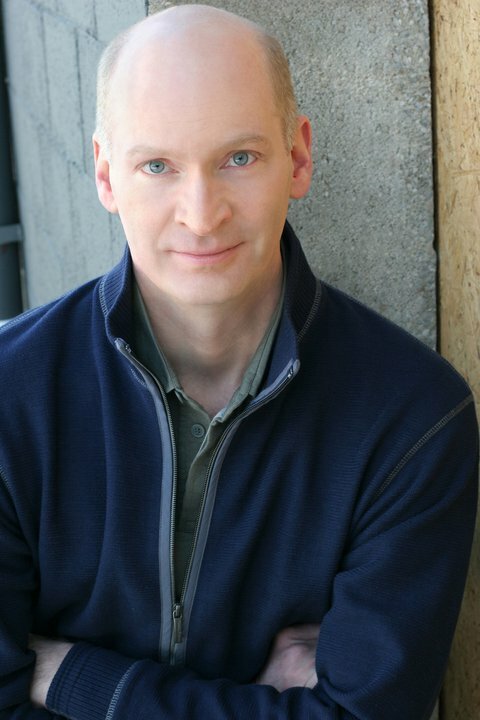 His sound design has been used in national radio and television ads for Six Flags, OnStar and Chrysler. 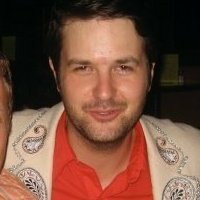 He currently plays bass in Shoot Out the Lights, The Oblivion Project and The Sequins, where he sings and plays original psychedelic country-rock. Siloam (Greek; interpreted "sent"), Pool (like drops of water that form a collective soothing common effort). If one had to describe this fueled with fire artist that chases away the chill, Siloam is sent to soothe. Singer/songwriter; Siloam Pool’s early love of music is an affair of sorts that on and off again love stories are made. Time and time again Siloam would walk away from this love that just would not let her be. While studying as a pre-med. 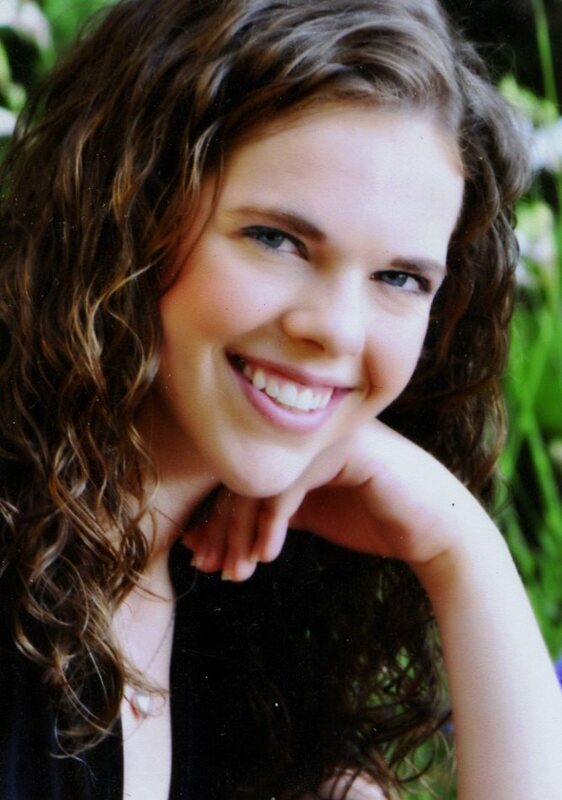 undergraduate at the University of Michigan, she took music theory and vocal classes. The shy young woman not confident in being the front person found satisfaction singing backgrounds. Her writing and vocal style are poetically tranquilizing with soulful jazz infused rhythms where immediately you realize this is a voice you have not heard before. Learning to embrace her uniqueness has been an evolutionary process driven by a determination to be true to herself. As with the opening track, “truly muchacha” you are listening in on an intimate conversation where she tries to convince herself that she must tell the man she loves the truth about her past. Siloam’s Euro style that is reminiscent of the "beatnik" era is romantically refreshing. Traveling unpaved roads is not uncommon for this debut artist. A fascination for cars since a pre-teen led to several years touring extensively with the North American International Auto Show. Once again this love of music would call. Siloam was invited to sit in on a rehearsal with Fred Hammond and RFC. That one rehearsal led to a year of performances, recordings and touring with the group that would solidify Siloam’s love for music once and for good. The following year she officially ended her tour with the North American International Auto Show and focused on her music. Detroit, Michigan native SiloamPool along with Sidney Howard wrote, arranged and produced this debut EP, "Colors of Black & White" stating. 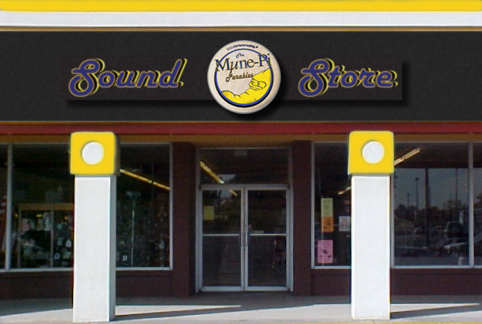 “As our sound developed, it began to breath with a life of it’s own. Its’ variety of tempos are threaded to serenade the listener, which is how music I love first gets and keeps my attention. My dad loved Jazz and Soul; my mother loved classical music. The artist I grew up on was as diverse as it gets”. The diversity of these musical influences include Nina Simone, Diana Ross, Marvin Gaye, Earth, Wind & Fire, Sting, Carlos Santana, Al Jarreau and Kathleen Battle to name a few. This diversity is reflected in the SiloamPool listener and was very evident as SiloamPool performed at the 2003 Comerica Tastefest in Detroit, MI (USA). Song after song the crowd intensified. Filling the rows and isles like a pied piper beckoning them note after note. Venturing to the sound stage to hear for the first time what others had already discovered. The kinds of things that touch Siloam’s heart is notably recognized in the metaphorical title song "colors of black & white". Which encourages us to appreciate the beauty in other races and nations. “It’s those things that make us different that make us beautiful. The song’s lyric is representation of races of people and how different and valuable each one is”, Siloam adds. “To help heal what ills us is why I wanted to become a doctor”. Ask if she has any regrets of not becoming a doctor? She gives a resoundingly no, “to write and perform music it’s what I love, that’s best of both worlds. Through music I learn to receive, give and hopefully ease someone’s pain by touching their soul and spirit, that is what it means to be sent”. Ron was drafted into the " …Mμne-Pi Parables" project by producer SIDney Howard on the enthusiastic recommendation of SCM singer and solo artist SiloamPool - with whom he also performs. The Amazing Kenny Watson is definitely who his fans says he is. As a Detroit native, he is carved out of musical excellence and has a message of love for man-kind, love for oneself and love for God. 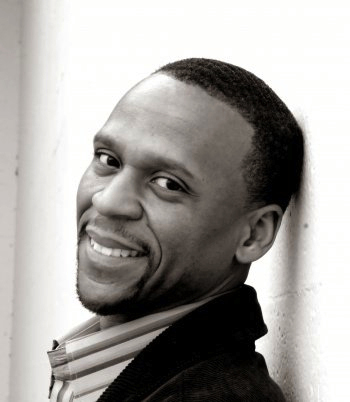 The Amazing Kenny Watsons' versatility comfortably carries refined vocals across multiple genres. The Amazing has performed overseas, as well as all over the United States and Canada. For 3 years he as been a headlining performer on the Mike-E and Afroflow Tour, sponsored by American Cancer Society, the largest cancer fighting organization in the world. He has also appeared in several national TV ads and radio commercials. As a charismatic performer, his stage presence commands your attention, as flowing locks mesmerize and velvet steel voice leave listeners hypnotized. The Amazing Kenny Watson is definitely who his fans say he is. AMAZING!! Lish has been singing professionally in Detroit for over ten years. In addition to her vocal ability, her live performance is dynamic and energetic, as she has been performing in both musical and dramatic productions since childhood. Her experience includes musical theatre, classical choral training and dance. Lish has had the pleasure of performing many different genres of music – from 50’s to alternative rock to R&B to movie soundtracks. Her versatility and technique have allowed her to perform a variety of styles and venues including: The National Anthem as a three part harmony, a cappela arrangement at semi-pro baseball games and syndicated horse races to Las Vegas; back-up singing for recording artists such as Johnny Preston; an acoustic act; rockin’ original act at bars, clubs and festivals; 50’s and 80’s throwback including costumes and high-energy, choreographed shows; live in-studio radio spots; studio recording and musical theatre. All of these pieces come together when she is on stage to produce a truly entertaining and aesthetically pleasing experience for all those who are watching and listening. Radio: "All This Time," "High Five", "Utica Green" and other tracks from the release have received airplay in Detroit on WQKL, WHFR, WBLD and WSDP; in Columbia City, Indiana on WJHS in medium rotation; in Goshen Indiana on WGCS on medium rotation; in Lansing, MI on WLNZ; in Kalamazoo, MI on WIDR; in Burlington, WI on WBSD; in Athens, OH on WOUB; at Bowling Green University on WBGU; in Bethlehem, PA on WLVR; and on XM Satellite Radio's "Unsigned." 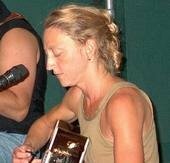 Penumbrae is regularly featured on WHFR 89.3 FM, which spins tracks from "One Way Drive" as well as in-studio performances and previously recorded demos (visit www.whfr.fm for playlists). They have also been featured a number of times on the Mitch Albom Show, WJR760. "One Way Drive" is being serviced to college and public radio regionally and is distributed nationally. Streaming tracks are available on soundclick.com and at www.penumbrae.net. Lead vocalist for the Mega 80's, Carey Denha, has been the vocalist of Going Public, a Michigan State band he played in when he attended the university in the 90's, as well as the original Michigan M'80's band. Carey has now embarked upon managing other high-end production bands like the Mega 80's in his new venture, Tangerine Moon Productions. 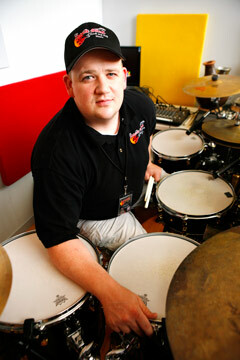 Jason S. Gittinger is one of Detroit’s most versatile studio and live drummer/percussionists. 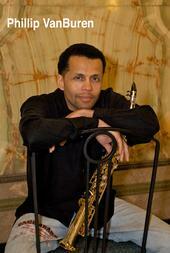 He has performed extensively in popular, jazz and classical circles. A product of musician parents and a graduate of Wayne State University in Detroit, Michigan with a degree in Jazz Studies, Mr. Gittinger has studied with some of the drumming community’s most notable teachers including: Robert Breithaupt, Ed Soph, Steve Houghton, Jeff Hamilton and Dave Weckl. Mr. Gittinger has recorded extensively in a variety of styles. 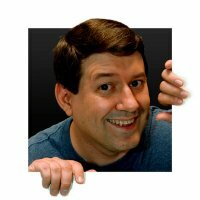 He has been heard on advertising campaigns for companies such as Buffalo Wild Wings, Cadillac, Lincoln, and Mazda as well as produced and written music for television on Fox and library music company Gene Michael Productions. His live performance experiences have been at venues as diverse as The Palace of Auburn Hills for the Detroit Pistons and Pleasant Elementary School in Marion, Ohio. International performances and tours have taken him to countries such as Italy, France, Germany, Denmark, Switzerland, and Spain. He is the founder and Executive Producer of The Detroit School of Rock and Pop Music®, www.detroitschoolofrockandpop.com; a diverse musical community focused on the pursuit of excellence through a positive, motivating, and educational environment. He has taught drums, percussion, and music technology in the Grosse Pointe School System as well as Calumet Center for Juvenile Justice in the Wayne County correctional system. He has also taught privately to select private students at various teaching facilities in the Midwest. He frequently gives clinics and writes articles and blogs such as "Amusement Park Drumming" in the November 2000 issue of Modern Drummer Magazine written after tenure as an entertainer at Cedar Point Amusement Park in Sandusky, Ohio. He speaks regularly to the Michigan Music Educators, Technology Institute for Music Education, various local civic organizations as well as presents clinics to professional entertainment companies such as Cedar Point Amusement Park. His current professional music endeavors include being both a member of the highly successful production, The Mega 80’s, www.mega80s.com; as well as the musical director for Tangerine Moon Productions, www.tangerinemoonproductions.com; “home of the nation’s greatest tribute acts and imaginative entertainment.” He also spends considerable time producing and playing on recordings for various local and national artists as well as his church, Rockpointe Community Church, www.rockpointe.org. Jason, an avid "community builder", goes out of his way to educate and nurture young and aspiring musicians about being a professional. He supports causes that teach people that being a success in life is not a singular pursuit but a team endeavor. He sits on the board of the Royal Oak, Michigan Chamber of Commerce and through The Detroit School of Rock and Pop Music provides music lessons, entertainment and support to many local charities, organizations, and students that may need help. The Detroit School of Rock and Pop Music® has accomplished a lot in it’s short existence. The students have played numerous concerts at places and events such as, The Palace of Auburn Hills, The Royal Oak Holiday Magic Parade (televised), The Henry Ford Museum, The Detroit Zoo, The Royal Oak Clay Glass and Metal Show, The Wolfman Mac’s Nightmare Sinema. They have also hosted clinics with artists such as; Larry Fratangelo (Kid Rock), Kris Pooley (Smashing Pumpkins, Gwen Stefani, Morrissey), Ginger Pooley (Smashing Pumpkins), Luis Resto (Eminem, Was Not Was, Producer), Robert Breithaupt (Capital University), as well as others. They have been featured in articles on CNN.com and The Detroit Free Press, The Detroit News, Metromode.com, The Marion Star and various other features. Jason lives in Warren, Michigan with his wife Sherry and their daughters Jasmine and Samantha. Ralf Patterson has been holding down the bottom in Detroit area bands and churches for over two decades. He is currently the bass player (and founding member) of the Christian rock band Sound of Reign. His tasteful playing and energetic performance style always add a dynamic element regardless of the musical genre. Phillip Van Buren is a graduate of The University of Michigan, Phillip has spent the last several years pursuing music theory and music technology at both Wayne State University and Schoolcraft College. Phillip has obtained personal woodwind instruction from Sax men John Wojciechowski, George Benson, and DSO Bassoonist Marcus Schoon. All of these assets finally fused into a turnkey ability to compose, arrange, engineer, and perform all tracks on the maiden project Asia Minor. Recent Affiliations/Engagements: Currently Phil plays as sideman for up and coming smooth jazz artist Cheri Oliver as well as the gospel rap group God’s Army. The Detroit Taste Fest and The Detroit Music Awards were among the venues that Phil helped back up with a gospel horn sound for God’s Army. Wayne State University’s Noel Night was his most recent solo engagement. Currently Phillip is one of the music ministers at Covenenant Community Four Square Church in Royal Oak. Finally, Phillip holds the position of Artist in Residence for Hot Ice Inc, a multimedia consulting firm based out of the Washington D.C. area. Phil’s Sound: The influence for Phillip’s first solo project is varied and includes Jazz, Gospel, World, Pop, Brazilian, and Classical. He performs as a solo artist, quartet, or up to a seven piece band depending on the job’s requirements. P/A equipment is included for audiences up to 250 people. Current Project Title Song: Asia Minor: Inspired by a desire to take a middle eastern scale and jazz improvisation and wrap it in a dance beat. Sunrise is a merger of African rythyms, techno and brazilian type vocals. On The Trail is a musical night journey on some imagined forested trail. Tia is a love ballad in its most simple form. 1stgroove contains hints of smooth jazz but with more of a sultry neosoul beat. The horn is up-tempo and is a contrast in beats between hip-hop and jazz fusion. The Reason is a song inspired by the gospel roots of a message of hope. After The Rain is a medium tempo jazz flavored motif. Toccata Funk is based on Toccatta and Fuge in D minor by J.S. Bach. This song merges classical and the funk element and creates alot of energy in a live session. Cover Material: Cover artists include: David Sandborn, Grover Washington, Chick Corea, Ronnie Laws, Kenny G, Boyz to Men, The Yellow Jackets, The Crusaders, Marvin Gaye, The Average White Band. Check out Niles Howard's video of the song "SIDon 'S'on the Map" on YouTube. It's the first release off SIDzCarbonatedMilk's new album, Mµne-Pi. Got a giant on the box. Got an axe to grind? …eating greens that ain't even from the ground? Beat your past…beat it fast! Mississippi Moon Pie-eater...wontcha keep on, Shine. Turn behind and see your future. "Mississippi Moonpie" (or "A Deltan's Narcissism Blues") Featuring a recitation by Reuben Yabuku; SIDney Howard: modeled strings and acoustic bass, Steinway Grand piano, FCH "Trumpet"
Another's told, "The end is upon us. Serious times are at hand." Do you put upon yourself things abandoned? Is our “knowing” wrong? …built along these sound-beams. I don’t know what to know; who’s had it told? Wondering, where does it go? Where’d ya get the notion you’d be goin’? Where'd ya get the notion you were broken? Will you fly away with Me? Can I Fly Away With You? Keep on saying, "Do wrong…doin' whatcha feel then"
Can thousands say, "Prepare today" and pass off sane as beautiful? Homes, what’s it set for? ...bone for bone? Ditch your dues to stick ‘em to mood flow…high low"
How does that counterpoint form (the) tell-me business's? How dumb do some suppose us? …to cover love and deadened our lowly poor proceeding between and through the moments? Why do they call it cancer? Why do they all just dance, sir? ...made by you while napping." What were you thinking when you tread on my emotions? What Mama told me ‘bout the boys made me just say, "No! It couldn’t be that bad"
Never did you ask was she lying…SHHH! But you won’t give me a name. No…no. I can’t deny the way she feels…the way she looks at me.